We love, love, love Razzberry Fizz and hope each of you has had the opportunity to visit their adorable store in downtown Clemson. 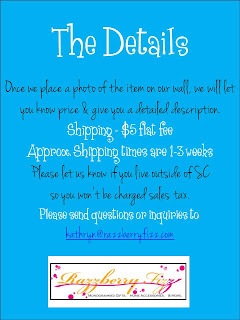 And we have some fabulous Razzberry Fizz news to share…now you don’t have to visit them in Clemson to shop their amazing gifts…you can conveniently shop their Facebook page! This is an easy and stress-free way to shop – and just in time for Mother’s Day! People are already taking advantage of this new way to shop – visit Razzberry Fizz on Facebook and you’ll see lots of lucky ladies using this method to ‘shop’ the Fizz. 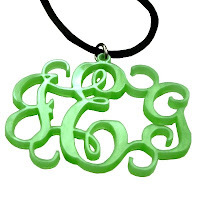 Here at ClemsonGirl.com we love all things monogrammed, so we were super excited when Razzberry Fizz told us they wanted to give one of our very special readers a free monogrammed acrylic necklace in a font and color of your choice! 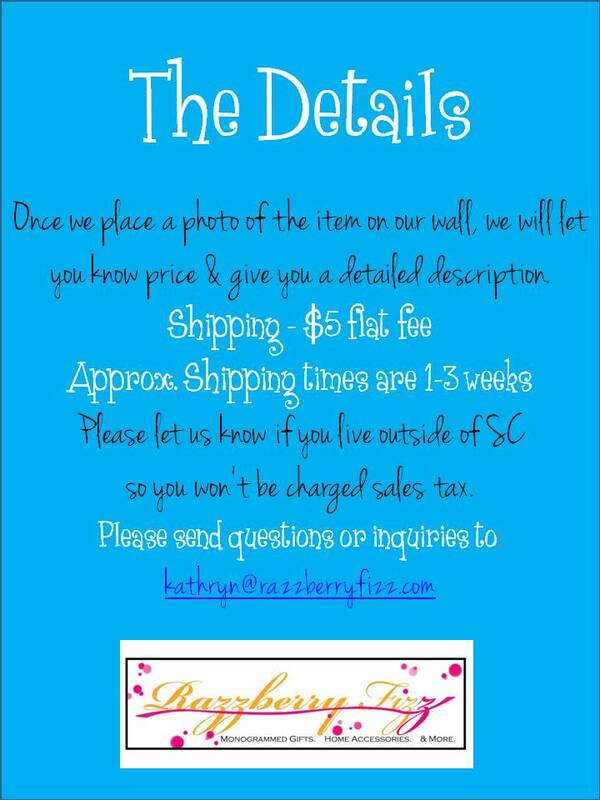 ‘Like’ Razzberry Fizz on Facebook, and then post the comment “Clemson Girls love Razzberry Fizz!” on their wall (1 entry). Follow Razzberry Fizz on Twitter, then tweet about this giveaway on Twitter, include a link to this post and copy @razzberryfizz and @clemsongirl (1 entry). Deadline for all entries is tonight Thursday, May 3 at 7pm EST. We will compile all of your entries, randomly draw a winner and post the winner’s name back to the blog later tonight – so be on the lookout later tonight to see if you’ve won! I Shared on Face Book and I commented on Razzberry Fizz wall!!! 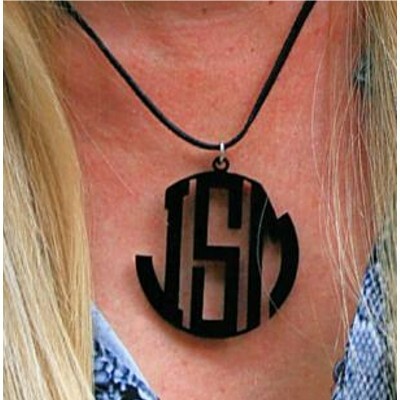 OH BTW I WANT THAT NECKLACE SO PICK ME!! Shared the contest and love the store! Kelly C. Thomasville, GA - Love it! I posted on their FB wall. LOVE this giveaway! I liked Razzberry Fizz and wrote on their wall! 2 of my favorites- Clemson Girl and Razzberry Fizz! 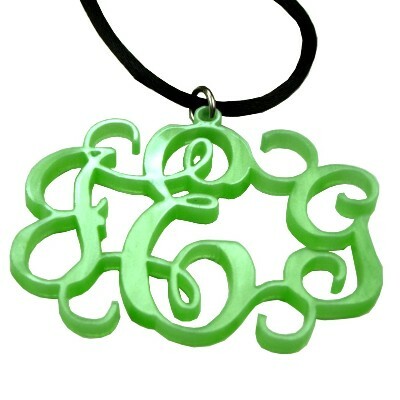 My other favorite is anything monogrammed!! I have been wanting one of the identity necklaces for SO long now! I have literally been saving every extra penny I have in order to get one, however I am a single mother and am taking care of my mom who just got diagnosed with cancer and is going through radiation (EFF CANCER! ), so I haven’t really been able to spend any extra money on myself. To win this would be absolutely amazing! 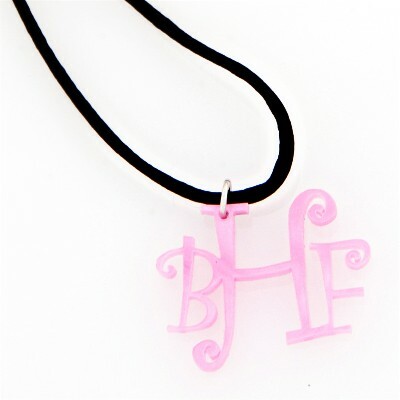 very beautiful and cute necklaces!